Services | Quarter Mile Muscle Inc. 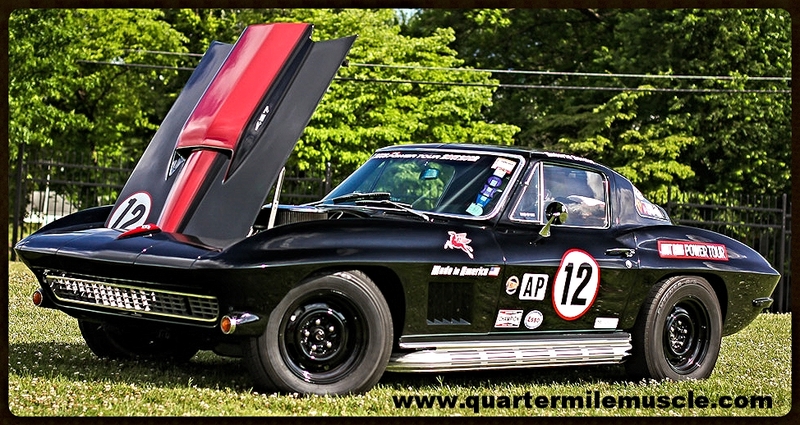 Here at Quarter Mile Muscle our Classic Car Services includes a Full Service Automotive Restoration shop. We have a large Facility dedicated to the Restoration of Classic Cars and Trucks. We Fully Restore Collector Cars, Muscle Cars, Hot Rods, Sports Cars, Vintage Classics and all other makes and models. We also transport projects that may not be easily moved, or still apart. 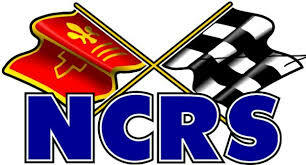 When it comes to Restoring Cars and trucks, we provide the knowledge and expertise many shops can not offer. This shows through in every project we take in here at QMM. From Partial Restorations to Full Frame off Rotisserie Restorations your project will be done correctly. The following is just a preview into just some of what we do at this great Restoration Facility. Here at Quarter Mile Muscle we do complete Frame off Restorations. This picture is a good example of our Frame Off Restoration process. This project is a 1973 Camaro that is getting a LS swap and a custom chassis. 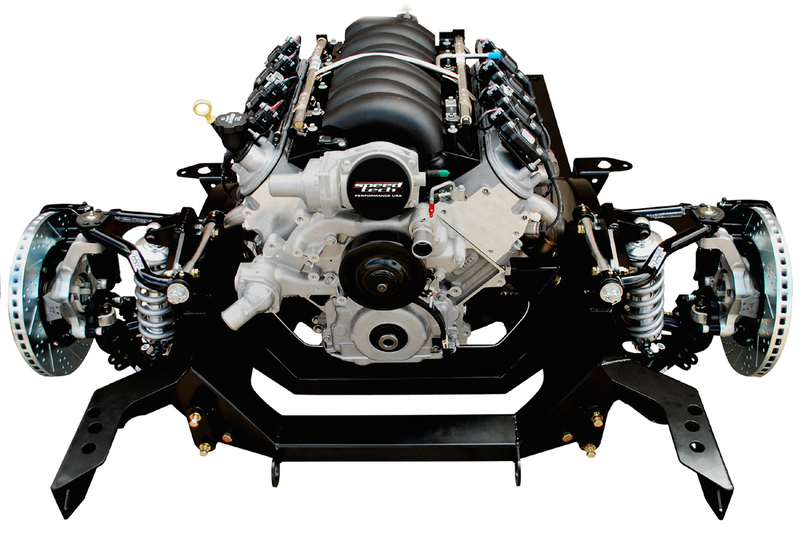 This Second gen has a new crate LS9 engine backed up by a heavy duty overdrive transmission. QMM does supply and install complete custom Chassis upgrades. We do install new aftermarket and custom made frames. 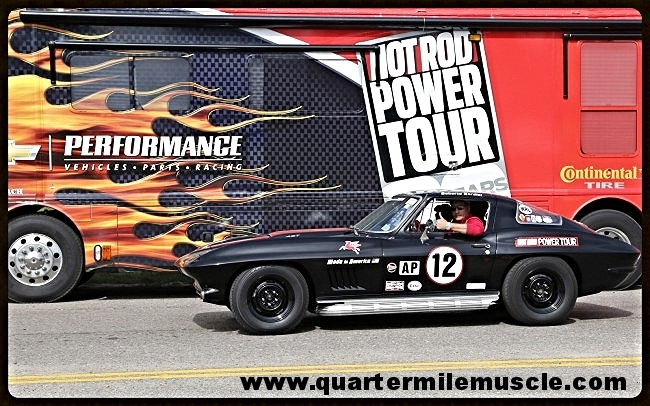 Here at Quarter Mile Muscle we do supply and install many types of Performance parts. From complete Fuel Injected Engines to Over Drive and Manual Transmissions we provide major components to the minior ones. We do complete AC / Heat / Defrost system Upgrades in many Classic Cars and Trucks. When it comes to your Classic Car's suspension we can greatly improve this. We have many options to choose from. We also supply Coil Over / Air bag systems for many of our projects. We do supply and install Four link rear suspensions for many projects. 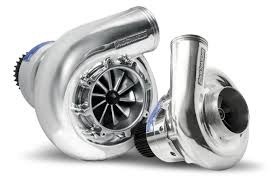 When your ready for even more Horse Power we do install Superchargers and Turbos. Custom Paint and Body by QMM. When your special project needs to look it's best contact QMM. We believe in a Custom Paint job should speak for it's self. This is why we take extra care during our body work phase. We do show quality workmanship here so that your project car or truck will look the best it can. There are many levels of Custom Paint work that we can provide for your specific project. From one color repaints to Tri-stage paint jobs. If your looking to do something even more "Custom" we do offer air brush and pin stripe work here. We use some of the highest quality paint products here at QMM. From PPG and Dupont to House of Kolor we provide your project with the best in todays products. We handle many types of Mechanical upgrades and repairs here at QMM. From complete Engine rebuilds to Engine Swaps. We have a great team on our Mechanical side of our facility. These techs have many years of mechanical knowledge behind them. From Disc Brake installs to new steering coulmns we install many different types of upgrades. We also supply and install custom braided lines as in this picture. These lines and fittings are custom made and carfully installed by our Mechancial Techs. From factory looking interiors to Custom one off interiors we have it covered. We can help you with the design process of your interior if needed. We have many different types of materails and options to choose from. We build custom consoles and dashes if this is something your project may need. We offer complete carpet and headliner installs as well. If your seats need new cushions or added cushion we can provide this upon request. When your tired of your cars heat transfering from the firewall and transmision tunnel to the interior of your car we can help. We do supply and install many types of heat and sound deadening materials for your project. 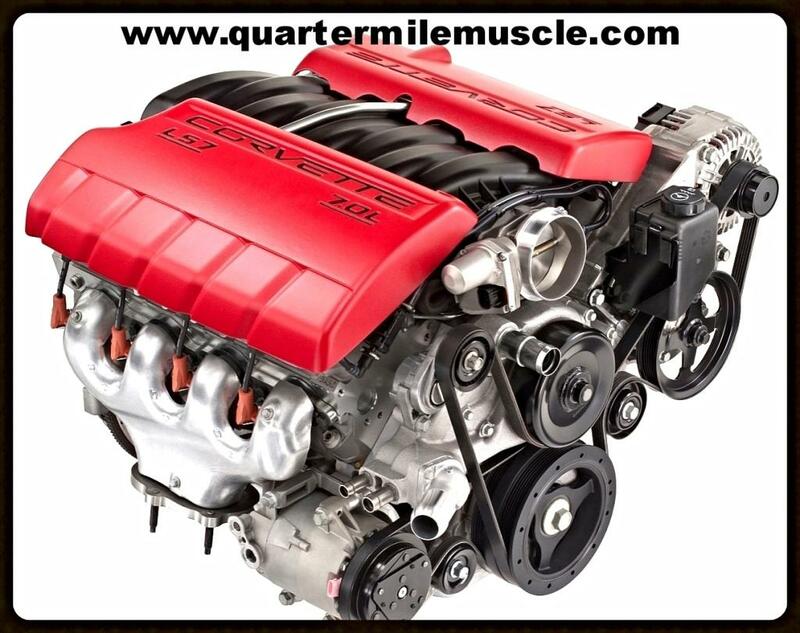 Here at Quarter Mile Muscle we offer many Engine replacement choices. From Big blocks to Small blocks we supply and install them all. We even install Fuel Injection systems to obtain quick pedal responses and improved gas mileage. We can help you decide on what choice is best for your particular project. If you are happy with your current or stock engine we can simply rebuild this for you. Maybe you would like to keep this engine but improve upon it's Horse power. We can install different cams and have your engines heads reworked. We use some of the industries best suppliers for our new Wiring products. 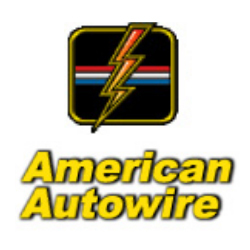 We offer complete wiring kits for many different types of cars and trucks. From partial wiring to complete we can replace what is needed for your project. We can trace down your trouble area and properly diagnose your projects situation. Then we will let you know our course of action to get your car or truck functioning as it should. When it comes to Suspensions there are many directions you can go with your project. Here at Quarter Mile Muscle we will provide you with the best possible choices for the direction you would like to go with your Classic Car. We have customized chassises and have installed pre-manufactured chassis as well. If you are wanting a better performance minded chassis than we install Adjustable Coil Over systems all the way around. Or if your looking for an Air Ride stlye of controlled system we do supply and install these too. When your needing to transfer all that new Horse Power to your wheels, we do install Four Link Suspensions. When your Classic Car or Truck is needing any Rust Removal we have you covered. With our Custom Metal Fabrication techs you project will be in good hands here. With our large facility our Metal Fabricators have ample room to work around your project. We do complete floor pan replacemets to roof panel replacements. Anyplace your car would have this Rusting issue we will properly repair and replace what is needed. We have worked on many projects that had extensive rusting issues. We are confident we can save your Classic Car from this on going Rusting issue. 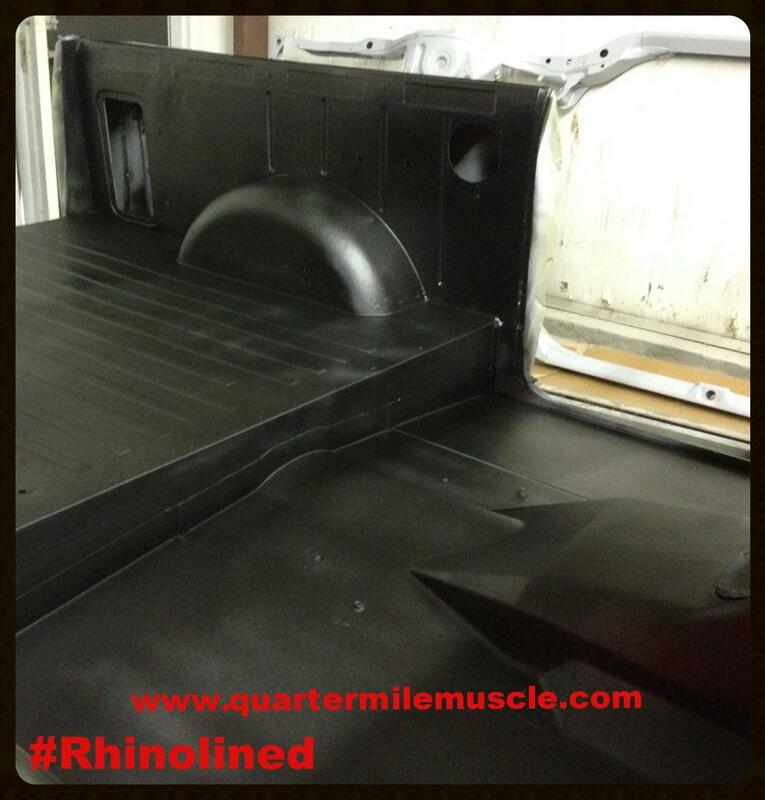 Here at Quarter Mile Muscle we do offer complete surface protection for many situations. In this picture we have a Classic IH Scout looking to go with a Rhino type of interior. We also provide this same protective material for the bottom side of our projects. Depending on your needs we can offer you the best in metal protection for your project. We can also tint our liner materails to go with any sort of paint scheme you may want. We also Spray Base / Coat Clear coat paint work on the bottoms of some Classics. We have our Metal Fabrication department here for all your projects needs. From Mig welding to Tig welding our techs are very talented. If you need anything Custom Fabricated we can design it and build it for you. If you are needing some sort of speaclized welding done, do not hesitate to conatct us with your special project. We Custom Build and Restore Classic Cars and Trucks everyday. This 1967 Corvette Resto-mod has a New Crate ZZ430 Engine with the fast burn heads. The sounds this car makes when you stand on the gas pedal, is just unbelievable. We brought this Classic Corvette to the huge Sping Event Car Show and people were very impressed with this Corvette Resto-mod. All Generations are welcome here at QMM. We can restore your car back to Factory specs or Resto-mod your Classic. Here at Quarter Mile Muscle we not only work on Domestic Cars but we do work on Foreign Cars as well. We have had many vintage cars come through our facility. We have worked on some great foreign projects. From Vintage Jaguar's to Mercedes we can help you with your Classic. We do work with suppliers that will get us the correct part for your project. We will get the period correct part your project may need. With our connections in the Classic Car market you can be assured your project will be correct when it's finished. We do convert from older mechanical style gauges to the modern look of the Digital Gauges. From Custom builds to Resto-mods we have the Digital Dash Cluster for your project. We do supply and install these Digital Dash clusters on many Classic Cars and Trucks. There are many styles to choose from. So when you let us know your projects needs we cane help with your choices. For those looking to replace the mechanical guages with factory original gauges we can help you there too.